Show Contest Rules before contest entry. New user trying to make sure I can do what we need. My main concern at this point is: I need all contestants to verify reading of Contest Rules. So everyone knows what the rules are, and they do whats expected. 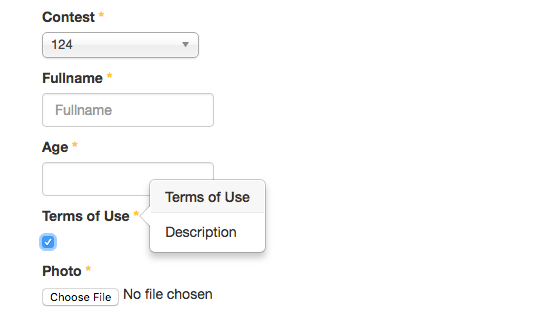 Kindof like a Term and Conditions acknowledgement when signing up for something. Is this possible with the Competition extension? If so, how would you recommend the best way of doing it? Set Required option to Yes. 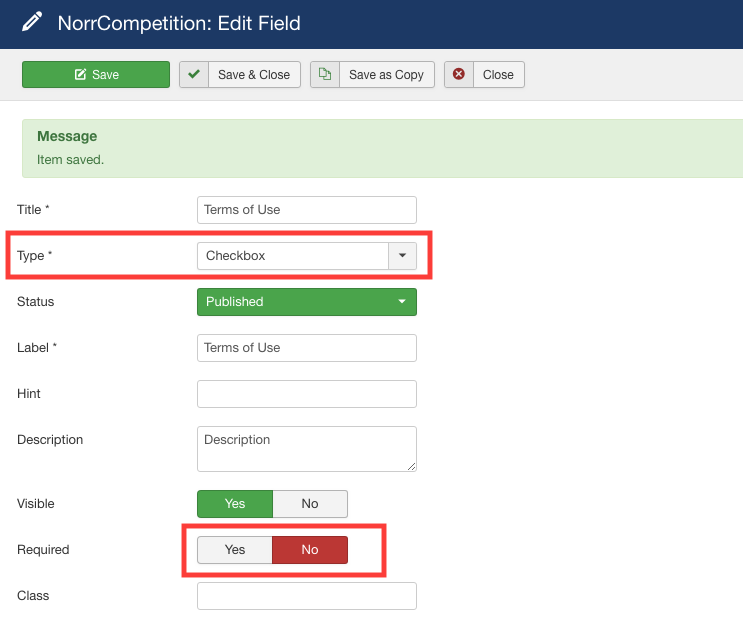 Then go to Your Contest > Fields tab and assign a new field. The result on the front-end.